Something I’ve wanted to do here for a while now is go into a bit more detail about some of the people I meet repeatedly at conventions, so here’s the first in a new series of features called Best of the Guests, where I focus on one of my favourite people and take a look back at some of my memories of meeting them. Or just obsess over them at great length. One of the two. I’ve been going to these events for nearly ten years now and the reason I started going was to meet the actors who were a part of the shows I’ve been watching all my life. In the last decade I’ve met about 90% of the people that I would want to meet, and most of them have been really nice. One or two have been miserable grumps, true, but at the other end of the scale there’s also a little group of maybe ten or so that I’ve managed to build up relationships with over the years and like to go back to see again and again and again. As I’ve said before it’s a wonderful feeling to go up to someone that you’ve been watching on TV for years and see their eyes light up and a huge smile appear on their face because they already know you, so I want to tell the story of how some of those relationships developed in a bit more detail. I’m well aware that in some people’s eyes – possibly a lot of people – this may seem a crazy thing to do, and perhaps it is. To some people even going to conventions at all is weird or sad or whatever, much less going back to see the same people over and over again. Since it is a little out there I wanted to start with someone that everyone basically already knows I adore anyway, and whom I know won’t mind or even be surprised by the amount of adoration I’m about to heap on them. Because there is someone who has stood out from this group more than anyone else, someone who has come to mean a great deal to me over the last few years. It’s her birthday this week, and I figured the least I could do is to spend some time talking about how important she is to me. 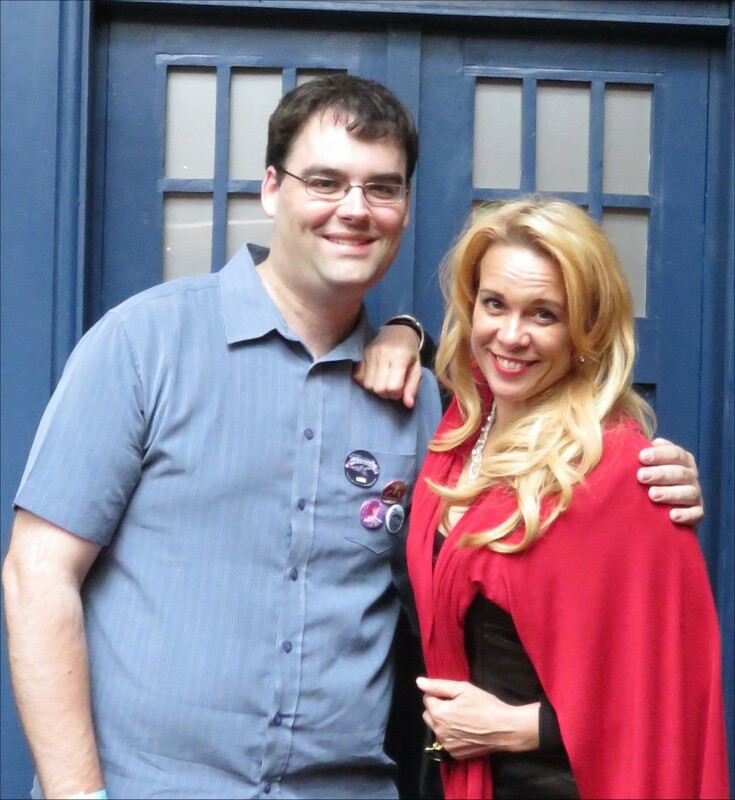 Yes, I’ve gone on and on (and on) about Chase Masterson here and elsewhere many times before, to the point where some of you may have been rolling your eyes just seeing the title of this post…but the thing is, I wouldn’t keep going on about her if there wasn’t so much to say. I truly believe in the very deepest part of my heart that Chase is an extraordinarily talented actress and that she doesn’t get anywhere near the recognition she deserves for the work she does, on-screen and off – but I also know from personal experience that she is an exceptional human being, and one that I owe an awful lot. I don’t feel the least bit ashamed for wanting to celebrate that. Also, this is my site so I can basically just do whatever I want. Nyah nyah nyah. If you are familiar with Chase’s work as an actress it’s most likely from her character of Leeta in Star Trek Deep Space Nine, and for a long time that was all I knew her for too. These days Leeta is one of my favourite characters from the show but at the time I never really paid her that much attention since DS9 was a series with so many different characters, and Leeta only occasionally figured into the plots in any significant way. I didn’t dislike her or anything, she was just there, and sometimes only for a single scene. Like I said these days I love the character for her loyalty and strong sense of ethics, but it’s ironic that arguably Chase’s most famous role is one that provided her with very few chances to show just how talented a performer she is. The role of Leeta was created specifically for her, which is awesome and speaks volumes about how great she must be to work with, but I would love for the Star Trek community in general to take a look at some of her other work to get an idea of how brilliant she can be when given a starring role. There’s a lot of great stuff out there worth seeing. Take for instance Yesterday was a Lie, a beautifully-directed sci-fi noir from 2008 starring Kipleigh Brown as Hoyle, a detective on the trail of a notebook that may or may not hold the key to some of the universe’s most important secrets. Chase (who also produced the film) played the Singer, a mysterious slightly otherworldly figure who may have some of the answers Hoyle seeks and also may represent some forgotten (or yet to be discovered) aspect of herself. Scenes between these two characters are just electrifying, and I would love to see Chase and Kipleigh team up for further projects in the future (here’s hoping R.U.R., a short pilot film from 2012, makes it to a full feature!) The film as a whole however is a masterpiece of thought-provoking intelligent science fiction, and one that I would strongly recommend to any sci-fi fan whether Chase was in it or not. One of the reviews on Amazon compares it to Sapphire and Steel, and that’s a pretty accurate comparison. Going back a bit further there’s Ballerina Finale, a 1997 short film starring Chase as a young ballet student dreaming of stardom only to find all her dreams torn apart by reality and circumstance. It’s one of those films where it’s difficult to say that I enjoyed it as such, because it is all rather brutal and harsh, but more that I admired it for just how brave it is. Chase is astonishingly good here, in a role that allows her to show off her talents as both as a dancer and an actress to the fullest, and if I were to point to any of her TV and film work as deserving more recognition it would definitely be this. She deserved an award for what she did here. Even when it comes to films that aren’t exactly perfect Chase is still frequently the best thing about them. 2002’s Terminal Invasion, a dumb-but-fun Sci-Fi Channel TV movie, saw her co-starring with Bruce Campbell and…no, wait, that should pretty much tell you everything you need to know. 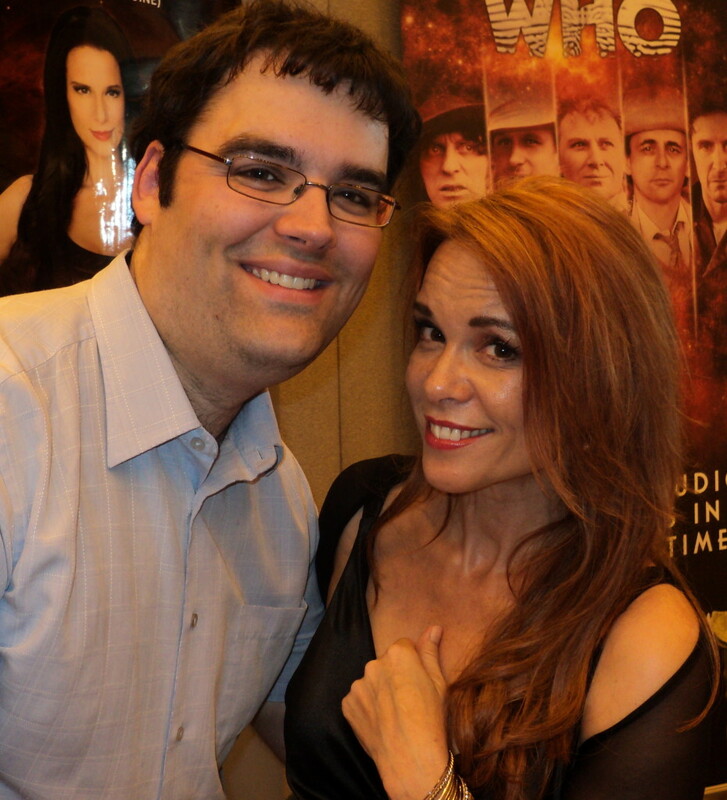 Chase Masterson and Bruce Campbell vs aliens. Go see it, it’s not hard to get hold of. It’s cheap and corny but hugely entertaining, from a period when the Sci Fi Channel (or SyFy to give it its present more-ridiculous name) meant actual sci-fi rather than sharks and/or wrestling. This movie was the first time I saw Chase in a starring role, and it was a real eye-opener; as brilliant as she is in in supporting or recurring roles she’s really a leading lady, capable of portraying strongly heroic main characters, and deserves more chances to take centre stage. She’s even saved several low-budget sci-fi movies from being utterly unwatchable, movies where the other actors around her are walking around clearly thinking about how soon they can grab their pay checks and be off the set. It’d be unkind to name names, so I’ll only be unkind just once and point to Digital Man as being such a film. A less-than-exciting tale of your average team of hard-bitten space marines going up against a killer cyborg out in the middle of nowhere, the movie only ever really comes alive whenever Chase is on screen. She’s clearly having a blast playing a redneck trailer trash chick who somehow gets caught up in the middle of this battle, seeming to be the only actor who’s having any fun or bringing any energy to all this, and without her the film would be…well, as painfully dull as it is in scenes where she’s not around. Only more so. There’s even a couple of moments where she actually made me laugh; “Goddamn robot people think they own the world!” may be an awful line on paper but coming from her it sounds very funny. Though that may be because I was so bored by that point that literally anything her character did or said could have made me smile. Her performing isn’t just limited to TV and film. She’s had a long stage career as both an actress and dancer while her beautiful singing voice has led her to record several albums (her rendition of Pure Imagination is my favourite song of all time) as well as tracks for the Yesterday was a Lie soundtrack, one of which was released as a single in 2012. Also in 2012 came the release of two Doctor Who audio adventures from Big Finish Productions; Night of the Stormcrow starring Tom Baker and The Shadow Heart starring Sylvester McCoy…and both guest-starring Chase. She also earned a recurring role in their audio adaptation of the classic 1970s BBC series Survivors and her character from The Shadow Heart even got her own spin-off series, Vienna, which at the time of writing has just released its third season. As with DS9 a role has once again been developed specifically for her except this time she’s had an entire series built around her, which again says so much about how brilliant she must be to work with. She’s absolutely terrific in both shows, and whether it’s the madcap lunacy of Vienna or the harrowing drama of Survivors each gives her frequent opportunities to show just how marvelous an actress she is. Now that she’s a part of Doctor Who a whole new fandom has been given the opportunity to discover her talents, and it’s wonderful to see her constantly getting such great feedback for the work she’s doing with them. It’s not only her acting that makes her worth following though; that’s just a small but wonderful part of a much larger story. Chase also has an extremely strong social conscience and since 2008 she’s been mentoring at Homeboy Industries, an organisation in Los Angeles that helps kids coming out of gangs. These are young people who have come to a point in their lives where they believe that the only way to solve their problems is through violence and hatred, and now need help in the long slow process of healing. 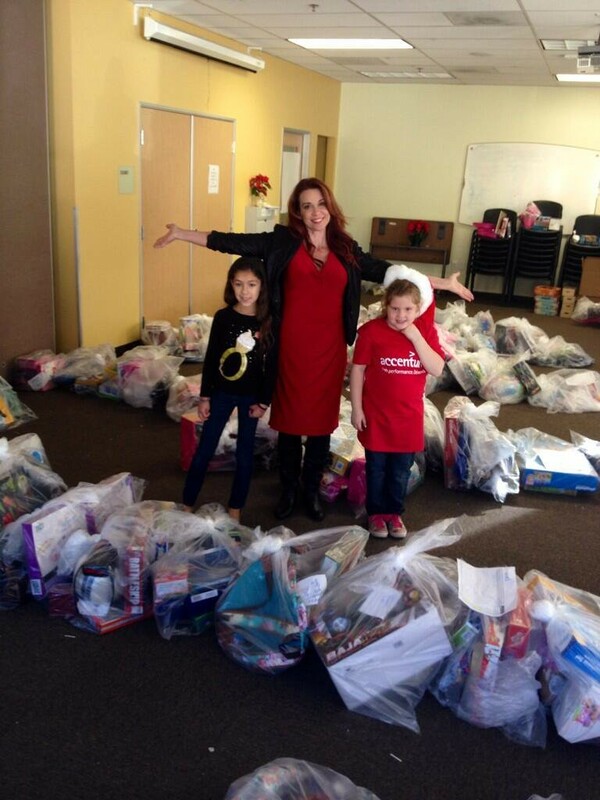 It’s a life that most of us probably can’t conceive of, much less believe ourselves capable of changing, and yet Chase has willingly put herself into that world because she cares and she wants to help, even sometimes arranging a Homeboy Christmas toy drive with the help of Toys for Tots. Not content with helping an already-existing organisation Chase has also set up one of her own, this time to combat bullying. I’ve already talked about the Pop Culture Hero Coalition before elsewhere on my site so I won’t go into too much detail about it again here, except to ask that you give them a look and please please please give whatever you can to help. It’s a non-profit organisation so it’s funded entirely on donations and time given by volunteers, and I know that Chase has put a lot of time and energy and effort into getting it off the ground. It’s that ability she has to inspire others that reminds me of a comment that was made about the late great Jim Henson; “perhaps the substance of his genius was the ability to see wonder far off in crazy directions, and to get people to follow him there.” That’s Chase through and through. She has the heart, she has the dreams, and she encourages others to join her in trying to make the world a better place. It doesn’t take much encouragement, because we all want to go there with her, and the results she’s having speak for themselves; she’s helped saved lives at Homeboy, and the Pop Culture Hero Coalition is having the same effect. Having such an enormous heart also makes Chase great to spend time with. I remember walking through Barking market with her one Saturday morning several years ago just watching her groove on everything and everybody. She has a genuine excitement and appreciation of the world around her and the people she meets, and that’s something I really admire. (I get the feeling I’ve lost that ability in myself over the years.) When a young lady walked past wearing a Superman T-shirt Chase suddenly decided she just had to get a picture of her, much to the poor girl’s confusion. “No no no, I’m not crazy, really!” was the only explanation Chase could come up with. And she isn’t. She just loves being in the world and meeting people. It’s the same story at conventions. She gives everybody who comes up to meet her her fullest attention, goes out of her way to make sure everyone gets to see the best she can be, and makes time to get involved with the event as much as possible. She’s everything a great convention guest should be, and if you’re ever at an event she’s attending you owe it to yourself to go say hi. Even if you’ve not seen any of her work, do it anyway. I promise you will not regret it. In fact, just possibly, it may lead to her becoming one of the best friends you’ll ever have. Sounds unlikely? Sure. But that’s exactly what happened to me. I first met Chase at a convention in 2009, and one thing I have to stress is that before we met I knew literally nothing about her other than that she had been on DS9. That was it. I hadn’t heard anything else about her at all, good or bad or otherwise. Nothing. I mention that because meeting her wasn’t a big “OMG, this is one of my favouritest people ever! !” moment, it was just going to be one more autograph to add to my DS9 collection. It was a wonderful surprise to discover that she was an absolutely lovely lady, very warm and very genuine, and I vowed that I’d be sure to meet her again if she ever came back to the UK for another show. If you’ve met me in real life you know I’m not the most comfortable person socially – pretty awkward, pretty quiet, pretty not very much of anything you really want in a human being – and at the time that was kind of interfering with my experiences of meeting these people. It still does to a certain extent, but at that point in particular it was having an effect during photoshoots, as once-in-a-lifetime photos with some of my screen heroes were being spoiled by my chronic inability to look like a normal human being. Don’t believe me? Take a look at this. Yeah, that’s just Leonard Nimoy, Chris. Don’t bother looking like you’re actually interested or anything. And, if you can believe it, there were even worse pictures than that. Much much worse. You know how when they show a picture of somebody on the news, taken just before they went on a killing spree, and you look into their eyes and think “Yeah, I can see that person being a weird creepy psycho.” That was the feeling I was getting from these pictures. It wasn’t good. When Chase came back to the UK in 2011 I went along and had a photoshoot with her (having missed out the first time). For once I didn’t look too bad in it, and decided to ask her to sign it. I mentioned the whole ‘looking awful in photos’ thing and she then said some things that went straight to my heart which have stayed there, and have helped. They’ve really helped. Here’s one of the photos taken since our little talk. See the difference between that and the Nimoy one? Of course you do, and I lay the credit for that difference squarely with Chase for talking to me the way she did. It’s not often you can point to someone and say that that person actually made a difference in your life, but I can do that with her. Okay, so in the grand scheme of things it’s not a hugely important thing, teaching me how to smile in photos – but it meant a lot to me and she deserves the credit. 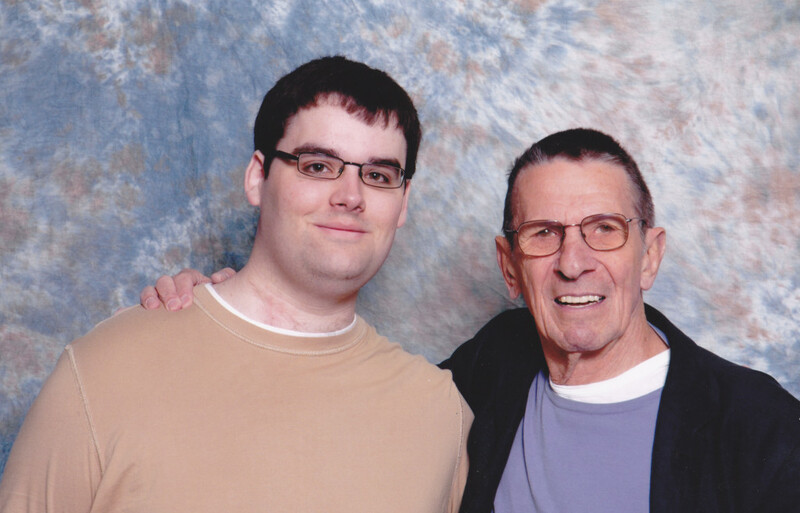 I don’t think there’s been a convention photo I’ve had with any guest since then that I’ve not been happy with. The following year Chase appeared at 2 UK events, and I made sure to be there for both of them. The second of those was Destination Star Trek London in October 2012, the first Star Trek event to be held in the UK since I’d started going to conventions. It was one of the best weekends of my entire life, and again that’s entirely down to Chase. It would have been great even without her, but I’m so glad she was there because she made me feel like a million dollars that weekend. “CHRIS! Oh my god, it’s you it’s you it’s you!” HUG. “Oh my goodness, it’s so great to see you, how are you?” HUG HUG HUG. Once or twice in your life you get a moment when the world literally seems to change beneath your feet. That was mine. Because I hadn’t realised, you see. I hadn’t realised that that was what we were now. Friends. We’d kept in touch online in the months since we’d last seen each other, and apparently in Chase’s eyes that meant we were now friends. Looking back at the contact we had during that period it’s obvious now that that was how she was treating me, but because I’d never really imagined that I could become friends with one of the guests I just didn’t twig. For the rest of the weekend I had several people referring to me as Chase’s friend, which…yes. Unbelievable. In the years that followed and the many many meetups we’ve had since she’s not only continued to treat me as a friend, she’s continually surprised me by just how far she’s willing to go in the name of that friendship. Every time I think I’ve seen the best part of her she pulls some other amazing act of kindness or consideration out of her heart that I would never have expected anybody to be capable of. She’s been supportive and understanding at a point in my life when I have really needed someone to talk to, she’s been there for me when almost nobody else has (often at times when I know she’s been busy with her own problems), and she’s never once criticised me or lectured me or made me feel like a bother. And I know what you’re thinking; Chris, you’re just blowing this (and her) up out of all proportion, making more out of it than is really there. Believe me, I’ve considered that, usually whenever I go to see her after a long time apart; was it real? Did I imagine it? All those times where I felt a stronger connection to Chase than I’ve felt to anyone else I’ve met in a long long time, was that just all in my head? Then we see each other, and nope – it’s all real. All that kindness, all that love, all those special shared moments – it was all very real and very wonderful and here we are making more. I’ve had a lot of great experiences at conventions over the years, met a lot of terrific people and made some wonderful new friends – but if you asked me to boil it all down to one single thing that sums up everything good to come out of all this, it’s my friendship with Chase. We now even meet up outside of conventions, for coffees and lunches and such, like any normal friends would do. Which is what we are. Except that I’ve somehow become friends with one of the most talented and most wonderful people I’ve ever met. In fact, if you really want to know what it’s like to meet Chase, this video pretty much sums it up perfectly. That’s exactly how she makes me feel when we’re together. Every. Single. Time. So, if you’ve been wondering who that lady in my Facebook profile photo is…now you know. And if you already knew but were wondering just why exactly she was there then hopefully now you have some idea of what she means to me, why I’m determined to stay loyal to her and to support any project she’s involved with. If that makes me weird or sad or whatever, then I’m perfectly happy to be thought of as weird or sad. In fact I’m proud of it, and her, and I always will be. And Chase, if you’re looking in….thank you again for everything. Every kind word, every hug, every moment of every minute I’ve spent with you. Thank you for being who you are and for doing what you do. You once called me a huge blessing, and I try as I might I just can’t think of any better words to describe you – but the best thing is that I know I’m just one of many many people all around the world who think of you that way. Much love, my friend. Always.